Mar.29 (NBD) -- Yang Linke, founder and CEO of BTC China, is now building a blockchain-themed village in eastern China's Wenzhou. The construction funding is donated by celebrities in the blockchain field, including 11 bitcoins and dozens of ethers, reported news outlet The Paper. According to the director of the village committee, the village houses about 2,000 people and half of them have knowledge of bitcoin or blockchain technology. It is noticed that a river runs through the villages. On more than 1,000 meters of bridge railings are graphic introductions of over 40 digital currencies and block chain technology. Currently, about 60 percent of the project has been completed. Besides, a blockchain-themed park and exhibition hall are under construction and planning respectively. "As technology and hardware are relatively backward in the village, our blockchain-featured tourism also have to take advantage of the natural resources of the village," said the director. "Some questioned our purpose. But we never want to issue coins. It's totally in the interest of the public". Yang, a Wenzhou businessman who didn't know what bitcoin is himself eight years ago, might have never imagined that his life would be fundamentally changed by the digital currency. Before his engagement with Bitcoin, Yang worked on assembly lines, served in the army, opened a hotel and even peddled spa equipment. He first knew the currency from his friend Huang Xiaoyu in 2011, one of the first Chinese who knew bitcoin. Huang wanted to replicate the trading mode of bitcoin in China and profit from commissions. Due to business instincts, Yang deemed it an opportunity after a quick homework on the operation of bitcoins. Together with Huang, Yang soon set up the first trading platform for digital coins BTC China in the domestic market with an investment of tens of thousand yuan. On June 9 of 2011, the day that BTC China officially went alive, the price of bitcoins soared from 1 U.S. dollars to 30 U.S. dollars. But one month later, it plunged heavily, raising concerns about uncertainty of the market. In the first two years since the inception of BTC China, the trading volume of bitcoins was only several hundred every day. Due to lackluster performance of the platform, Yang had to do his old business at the same time. But the price of bitcoins exceeded 100 U.S. dollars in April 2013, miraculously increased over 3,000 times compared with that of three years ago. By the end of November, 2013, the price of bitcoins even skyrocketed to 1,000 U.S. dollars and daily trading volume on BTC China surpassed 100,000, accounting for about 80 percent of world's total. "It was really crazy, which scared me a little bit," Yang recalled. That year, the digital trading marketplace quickly raised 5 million U.S. dollars and moved its headquarters from Beijing to Shanghai. As the sector becomes growing lucrative, more competitors emerged, including Huobi and OKCoin. 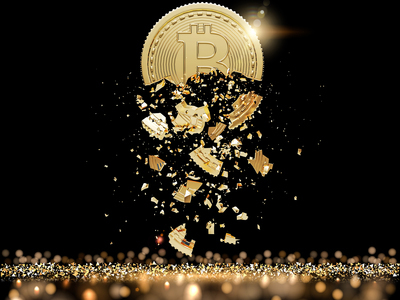 In early December of 2013, the price of bitcoin crashed as Chinese financial regulators denied its currency feature and banned third-party financial platforms to provide money-transfer and withdraw service for bitcoin trading platforms. Yang stepped down as a senior executive of BTC China in early 2015. In May 2017, Yang staged a comeback and launched ICO services for the platform. However, the business was banned by Chinese regulators 4 months later. In February 2018, the stakes of the company were all transferred to an investment fund in Hong Kong. Yang bought back BTC China this year but it has descended to the 33rd place in the world. Currently, the company is trying to serve the real economy with its blockchain technology.